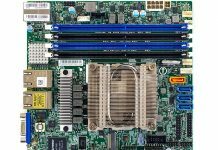 Today we are looking at a very unique solution based on Intel’s low power Avoton SoC: the Supermicro A1SAM-2750F. 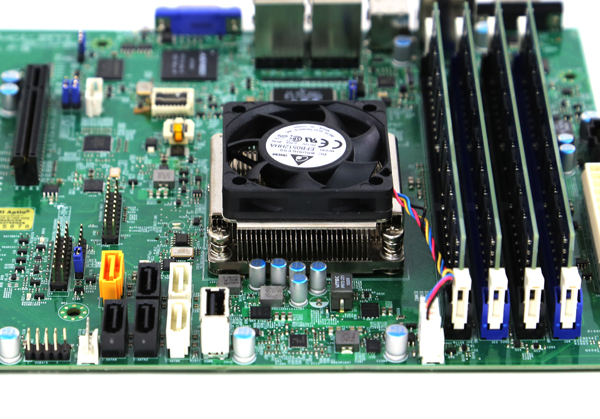 The platform features a mATX Supermicro motherboard with an embedded Intel Atom C2750 SoC. The SoC is an 8 core design which we have a dedicated performance thread in the forums on. We also published power consumption and Intel Atom C2750 performance numbers using Supermicro platforms. 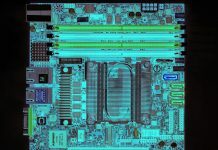 To date, all of the Intel Atom C2000 series platforms we have reviewed have either been in a mITX form factor or in custom form factors for high-density applications. Practically, that limits designs to a maximum of one expansion slot. Supermicro saw the need for a larger form factor with a greater ability to customize and released the A1SAM-2750F to address this market. Due to the SoC design, the Intel Atom C2750 platform is very compact and requires very little to get up and running. STH has more Intel Atom C2000 reviews live than other sites at this point so we do have quite a bit of experience with the platforms in general. We are keeping this platform as much in-line with previous configurations as we can. 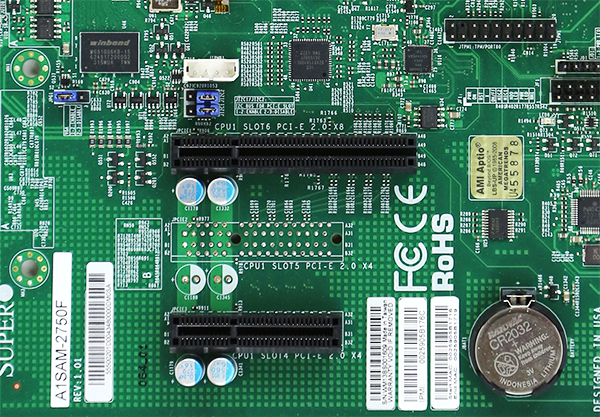 Looking at the Supermicro A1SAM-2750F we see a motherboard that is in many ways similar to the Supermicro A1SAi-2750F but that has some stark contrasts. The biggest one is perhaps the physical size at 9.6″ x 7.5″ it is a mATX form factor. Perhaps the most exciting feature are the two PCIe expansion slots. 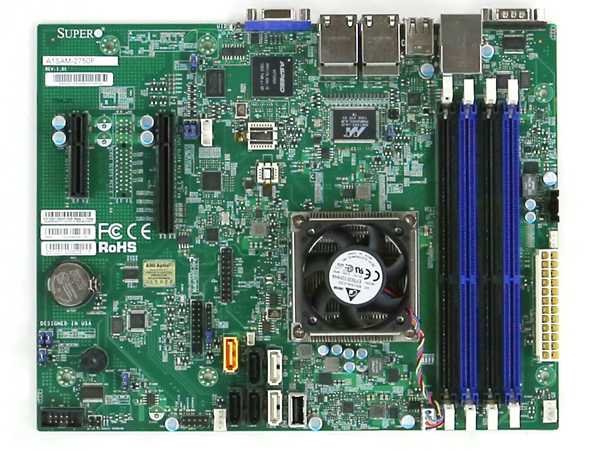 The Supermicro A1SAM-2750F has both a PCIe 2.0 x8 and x4 slots. 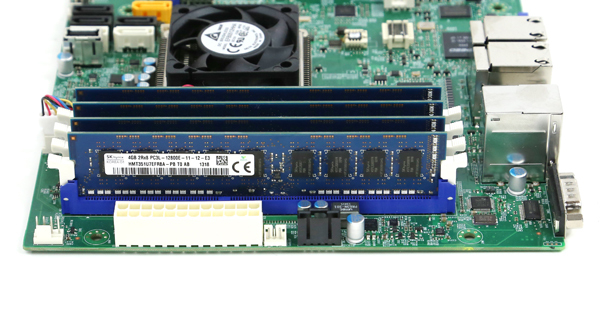 One excellent design feature is the PCIe x8 slot is open ended. That means that one can install PCIe x16 physical cards into the motherboard even if they run at x8 electrically. Supermicro also keeps the area behind the PCIe x8 slot clear so there is clearance to fit another card. In terms of overall layout and airflow, the 20w TDP part requires very little cooling. The DDR3 DIMM slots are aligned with proper front to back server airflow considerations in mind. As we will see in our thermal imaging results, the impact of combining solid airflow and very cool running system components on a motherboard is excellent. One major feature of the platform is the use of full-length standard DDR3 SODIMMs. In this shot we have SK.Hynix 1.35v DIMMs. In a low power platform such as this one, low voltage memory has a large overall percentage impact on the platform power. There is also another change from the Supermicro A1SAi-2750F we reviewed previously. There is no 4-pin power connector atop the motherboard. Nor is there a USB 3.0 front panel header. Instead there is a USB 2.0 internal port which is excellent for VMware ESXi boot devices as an example. Along with the internal USB header, one can see two SATA III ports and four SATA II ports. There is even a SATADOM power connector for embedded applications. These SATA ports emanate from the Intel Atom C2750 onboard. One can also see five RJ-45 ports on the rear of the motherboard. 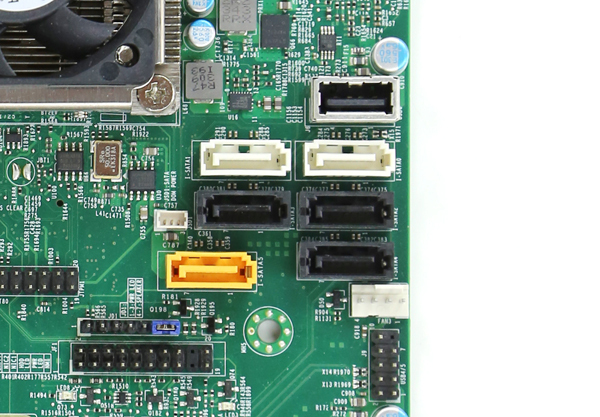 One is a dedicated IPMI network port driven by the ASPEED AST2400 chip seen just above the VGA connector. The other four ports are gigabit Ethernet ports. Supermicro utilized the onboard Intel i354 and a Marvell PHY to provide the platform with quad LAN capabilities. 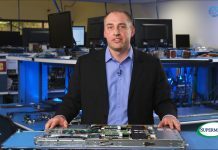 While other vendors have used NICs with lower costs and fewer features, this design choice by Supermicro is excellent. For those wondering, in OSes such as Microsoft Windows, RHEL, CentOS, Ubuntu, Debian, Mint, VMware EXSi, FreeBSD 10 and etc. the NICs appear as Intel i354 NICs. Most operating systems have supported these NICs out of the box since the beginning of 2014. For our thermal imaging tests we use our new FLIR Ex series thermal imaging camera with FLIR’s new MSX software to show details overlaid on the 320×240 thermal image. As mentioned earlier, the platform is extremely low power. We managed to get excellent results with all ICs running well below rated temperatures. Furthermore, for those considering adding hot PCIe cards, the A1SAM-2750F’s bottom runs extremely cool. Supermicro’s IPMI and KVM-over-IP as described a few times on this site, allows for a lot of deployment flexibility. Things such as fan speeds, chassis intrusion sensors, thermal sensors, and etc. can be monitored remotely. Alerts can be setup to notify the admins of issues. Beyond this, the functionality also allows for remote power control. You can do remote power up, power down, and reset of the server in the event that it becomes unresponsive. In fact, the test system has never had a keyboard, mouse, CD/DVD ROM, or monitor hooked up to it, even after multiple BIOS tweaks and operating system/ hypervisor installations. Another important feature is the ability to remotely mount CD images and floppy images to the machine over the dedicated management Ethernet controller. This keeps maintenance traffic off of the primary Intel NICs. At the same time it removes the need for an optical disk to be connected to the Supermicro motherboard. Combined with the onboard Type-A USB 2.0 header, mounting OS installation or recovery images remotely is a very simple affair. Overall the trade-off of removing USB 3.0 and increase in size benefit those who want to further customize Intel Atom C2750 platforms. The decision to use the Intel i354 as a great one as it is a relatively high-quality onboard quad port NIC. The ability to utilize industry standard DDR3 UDIMMs in the platform lowers the overall cost of the platform slightly. There are a variety of use cases where the A1SAM-2750F makes a lot of sense including network appliances and cold storage servers. As a result of this innovation, along with the platform’s stability, the A1SAM-2750F receives very high marks in our testing. The IPMI/KVM is definitely a nice feature. To this day I haven’t regretted shelling out the addition dosh for a X9SMC-F. Even for an enthusiast/home user it can be very useful if you have a headless box some where in a cupboard/basement corner. “Instead there is a USB 2.0 internal port which is excellent for VMware ESXi boot devices as an example.” The only downside is the lack of Vt-d support from the C2750, otherwise it would have made a great ESXi platform to host vm’s with each a dedicated nic. Too bad: With a larger heatsink the 60mm fan wouldn’t be necessary. As you can see in the pictures: The fan is screwed from below through the heatsink, not simply from the top. If the fan fails, you can’t unscrew it from above, you have to disassemble the heatsink. Aside from this, I liked the board very much. I’m using it without any problems as ESX 5.5 host since two months! Would be nice to have another version of the board with a 10GbE port, it’s a feature of the Atom C2000 (4x 2.5GbE on the CPU, here used as 4x 1GbE only). Not a bad option. The price is still on the higher side like a lot of these newer all-in-ones. The 2.5GbE doesn’t phase me as I find it just a gimmick, 1GbE or 10GbE, there are a couple of PCI-e slots now. The crappy looking and poorly thought-out idea of the HSF is a lemon idea though. A bigger passive sink or even with a serviceable fan would have been better welcomed. Finally an Avoton that looks interesting to me. Not that I’ll be replacing my freenas setup anytime soon. Theres a silkscreen for an additional 4x slot, wonder if they’ll release another model. It’s never going to happen but something like this, with ECC and 8 ram slots instead of four would be perfect. For NAS systems there’s another Supermicro C2000 Mainboard in the pipeline: The A1SA7-2750F with extra 16x SATA3 @ LSI 2116 HBA. The both have a PCIe 8x slot running 4x PCIe 2.0, so the only real difference is the ASUS board has 2 more NICs onboard but 2 less DIMM slots. Given a choice between the two I would go for the standard form factor so I know I won’t have issues finding a case for it. Thanx for the info, Daniel! Excuse the (probably) silly question, but how viable are these as a “basic” virtualization server? I’m currently running a PowerEdge T610, with an E5520 in it. It’s doing windows file sharing for my home, plus 2 or 3 low spec VM’s (Windows 7, just for isolation) off of 24GB RAM. It’s been a great box but is very loud and feasts on power. The noise and the size are my primary concern, Efficiency is a bonus. Most of my storage is in a Norco chassis so drive space isn’t much of an issue. I’m wondering if something like this would be viable as a replacement performance wise when specced with 32GB. Suggests there’s not all that much in it – particularly given that the box rarely runs >20% busy. I’m really not at all familiar with the new Atoms so any thoughts kindly received. Versus a single E5520 a C2750 will be roughly equivalent. Not a speed upgrade but major power upgrade. Also, you will get more LAN ports which is nice. The one thing you may miss is VT-d if you use that. Any possibility to review the A1SA7-2750F and compare the power consumptions between the different Supermicro boards. I am +1 to this. That ASUS P9A-I they reviewed is better comparison though. Bit of a delay in my reply, but thank you. A single 5520 has been more than sufficient to meet my needs these last years so this is looking quite promising.